The Olive Shrimp was created for use on a very weedy corner of Fernworthy Reservoir, Dartmoor. Underbody : Three strips of lead wire reducing in size. Shell back : Pale olive plastic raffia. Raffene. Body : Medium or light olive seal fur, rabbit or similar. 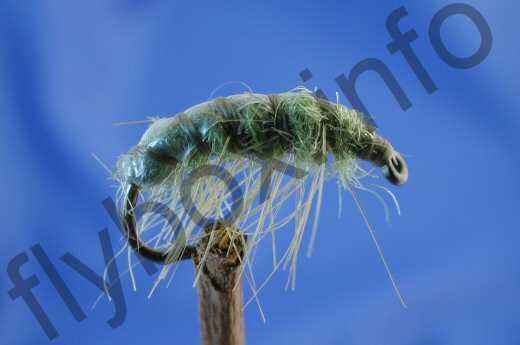 Currently there are no comments about the Olive Shrimp fly pattern from other fly fishermen yet.